GREEN BAY, Wis. - May 21, 2018 - PRLog -- Medalcraft Mint, an industry leader in the design and production of custom medallions, challenge coins and other awards, has expanded its customer base with the purchase of Medallic Art Company, LLC. Medallic Art Company specialized in the collegiate and education markets with products such as graduation medals and ceremonial maces. Production will be consolidated in Medalcraft Mint's Green Bay, Wisconsin, facility. 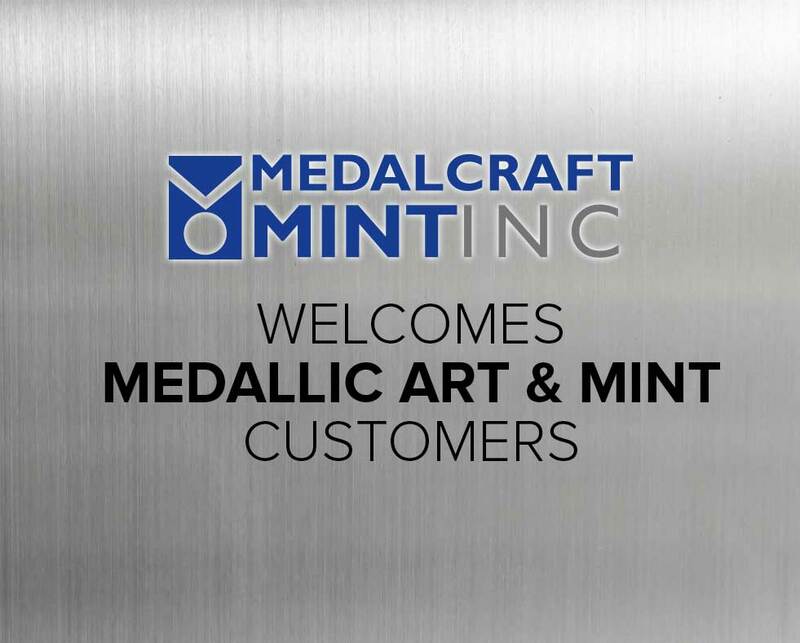 "Our team is positioned to provide the same high-quality products and service as previous customers are used to receiving," said Jerry Moran, owner and chief executive officer of Medalcraft Mint. "Our expertise in the custom commemorative market is a perfect fit for this customer base." Medalcraft Mint produces a wide range of challenge coins, badges, award recognitions and other commemoratives. The company features an in-house design team and specializes in creating die-struck custom medals, medallions, coins, key tags and more. The company has been recognized within the industry with more awards for superior metal striking than any of its competitors over the past three decades. Medalcraft Mint has been a Wisconsin-based company since its founding in 1948. The company produces a wide selection of challenge coins, badges, recognition awards, ceremonial maces and other commemoratives in its 32,000-square-foot facility in Green Bay, Wisconsin. For more information about Medalcraft Mint's products or to request a quote, please go to http://medalcraft.com/ or call 800-558-6348. View original article on Medallic Art purchase here.